OneDrive is a component of Office 365, Microsoft’s online suite of services. Before you can store, share, or co‐edit files on OneDrive from your iPad, you have to sign in to OneDrive. Read on to find out how to sign in from Office for the iPad and sign in from a web browser. The App Store offers an application called OneDrive for managing files at OneDrive. You can get versions of the OneDrive app for the iPad, for Windows computers, and for Macintosh computers. 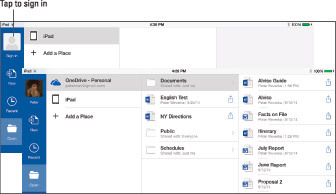 OneDrive app on the iPad. This button is located in the upper‐left corner of the screen. The Office window appears. The Sign In window opens. Enter the email address you used to subscribe to Office 365 and tap Next. You can tell when you’re signed in to Office 365 because your name and the name OneDrive appear in the upper‐left corner of the Office window. When you are signed in to OneDrive, your name appears in the Office window. To sign out of Office 365, tap the Office button and tap your name in the Office window. You see the Account menu. On this menu, tap your log‐in name and choose Sign Out on the submenu that appears. 3.Enter the email address of your Office 365 account and tap Next. 4.Enter your password and tap Sign In. 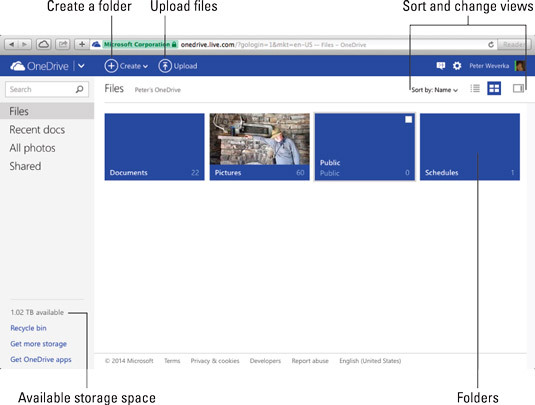 The OneDrive window opens in your browser,. To sign out of Office 365 in a web browser, tap your username in the upper‐right corner of the screen and choose Sign Out on the drop‐down menu. OneDrive in a web browser.